I have watched your video Secrets of Alchemy a few times. I really enjoyed some of your sleuth work sir. But sadly it is not complete. The rabbit hole goes much, much further as you suspect. But I do come offering a gift…Jay I found another tunnel in the labyrinth. Here are some photos that suggest an investigation to those 4 stars on the base of the Hendaye Cross, are worthy of further investigation. We need to delve into examining with much greater detail the IDENTITIES of those 4 Stars. To the Arabic astrologer/astronomer those 4 stars WERE identified. …(which btw takes us back to Peru again…and I can’t wait to go…how about you Jay?) I supplied links that you can cut and paste into your browser. Jay please note that the first 3 photos have those 4 Stars that we see on the base. The 1st pic is taken from the Cross of Hendaye as you know. The 2nd pic is a picture scanned from M.P. Hall’s ‘Secrets of All Ages’. It is a magic symbol. The 3rd pic I took personally myself in Peru…and it becomes the ‘Rosetta Stone’ of my investigations, that piece of knowledge that allows us to interpret many other symbols with much greater clarity and understanding. 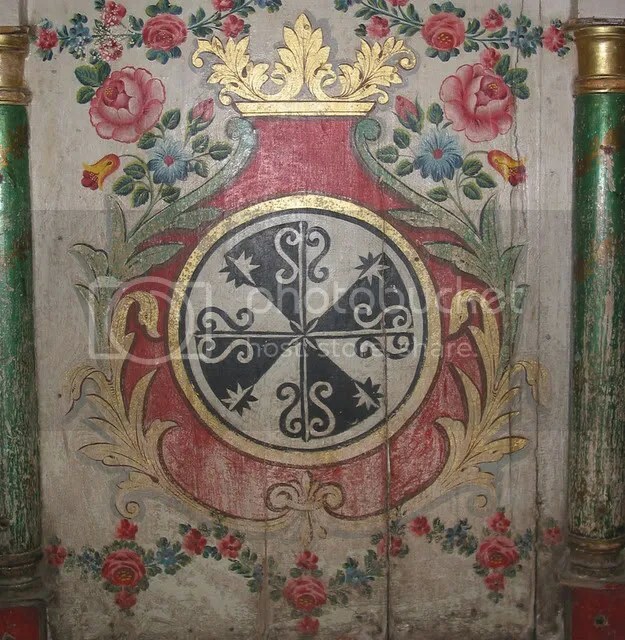 So it becomes apparent what that image in the monastery was depicting. 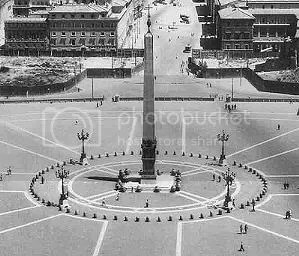 It is an obvious template for St. Peter’s Square and the cross, the centre of which is an obelisk. Now the next question is … what is St. Peter’s Square actually suggesting as an ARKitectual ARKetype, now that we can place those 4 Royal’ Stars there? What I am suggesting Jay, (after having followed an intuitive path) is something NEVER yet proposed by the scholars or your peers, but it is damn obvious … once it has been pointed out. Do you realize the wow there? If you read this blog I also wrote you will understand how it all begins to weave together and connect. Here is the gift I offer you Jay, are you ready to do a sequel? A part II to the Cross of Hendaye? Videos that will help fill in many of the blanks and cause quite the sensation. Jay “All has been written”, including the script I offer you. What I offer makes the DaVinci Code look like the fairy tale it is. 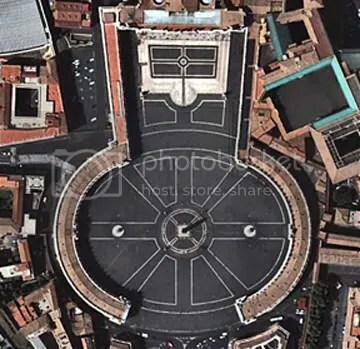 How would you like to go up to the 2 Popes (Black and White) and ask them for the 2 Keys for the 2 Doors marked off on the pavement on St. Peter’s Square? I will be posting that same ‘script’ that I am offering you, as an ‘entry’ in Walter Cruttendon’s Galileo Awards. My 4 Royal Star thesis forms part of my ‘multiple star theory’, that I can use hopefully in helping me to identify our Sun’s Binary Companion. By the way … our Sun’s companion sends us pulses of BLUE gamma rays…BLUE as you know is a significant color when it comes to prophecy. This has already in fact been recorded. A ‘neutron’ star that is equidistant from the Galactic Center is sending us pulses of BLUE gamma rays, and as you know that forms part of the UV spectrum and part of the prophecy. The star has been given a name. And it has also made my ‘shortlist’ of possible binary companion stars. p.s. Please consider me a simple man, like a cobbler (Jakob Boheme), quite simply an ‘intuitive’ spiritual alchemist. 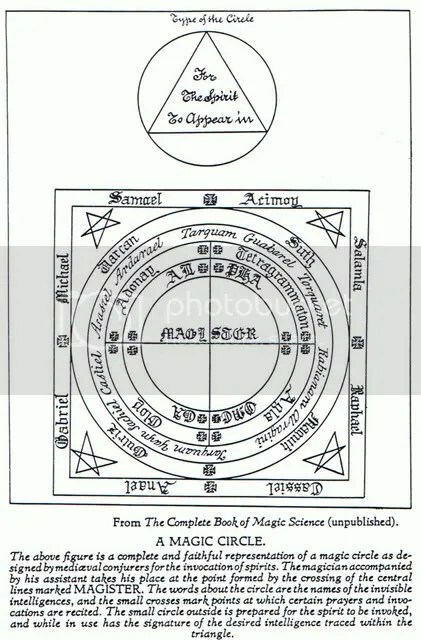 Update: Also please note, the shadowy 2oth century alchemist known as Fulcanelli, only added the chapter regarding the Cyclic Cross of Hendaye to his book ‘The Mystery of the Cathedrals’ in the 1957 edition which was mass produced. The 1926 edition of which only 300 copies were printed did not contain this chapter. Coincidently, 1957 is the same year I was born. And I apparently hold the key to unlocking its true meaning. I have an update to this thread suggesting my intuition is still on track. Simple question…do these 2 photos look the same? 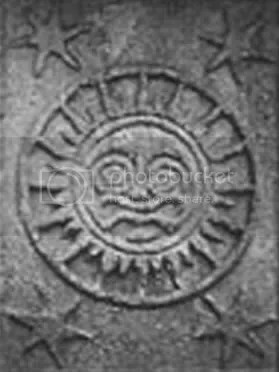 The first photo is found on the base of the Cyclic Cross of Hendaye and we see what I suggest are the 4 Royal Stars surrounding an obvious sun deity. 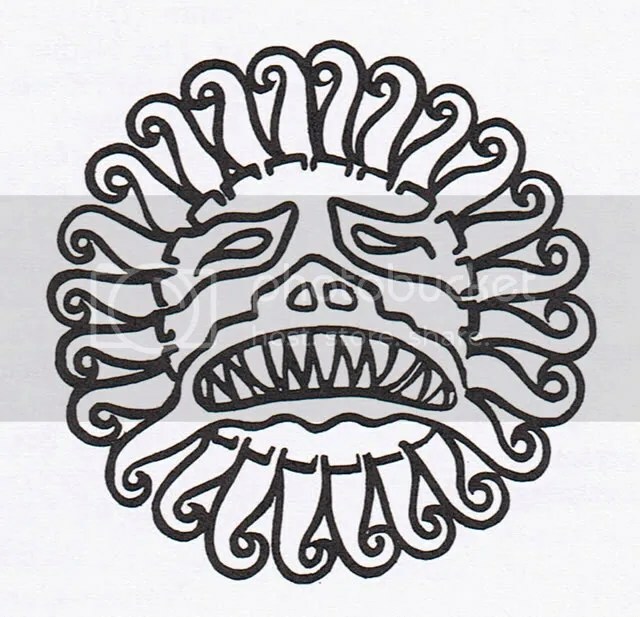 The second image tells us who this deity is. He is Mithras who was a PERSIAN solar deity. Who probably has a close association to the Hindu Mithra. Which suggests that the face on the cube or pedestal is in fact the Persian Solar deity Mithras surrounded by the Persian 4 Royal Stars. Now the next photo places those 4 Royal Stars back in St. Peter’s Square surrounding the obelisk … stolen from Egypt. Getting warmer, have you read my posts on DNA? 01-25-2009—-now where are we. Anything new being revealed? 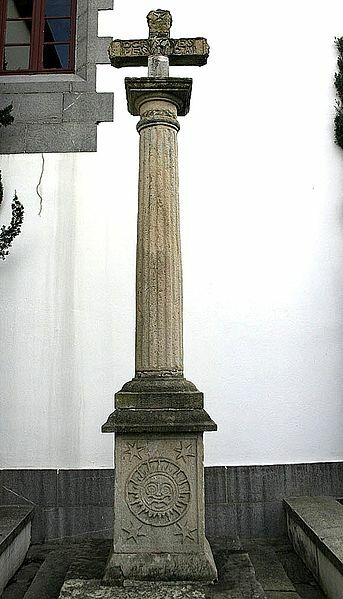 Who is credited with the actual construction of the cross of hendaye? very intriging!